Some good news at last for RIM - the troubled BlackBerry maker has been granted permission to use the name BBM for its instant messaging service. Blackberry Messenger has been known as BBM for some time and advertised as such, but a Canadian company with the same name accused it of infringing its trademark. BBM Canada measures television and radio audiences. It wanted to stop RIM advertising using the initialism BBM, instead using BlackBerry Messenger. But now a court has ruled RIM is free to continue. "We are pleased that the Federal Court of Canada sided with RIM and confirmed that RIM's use of BBM does not infringe the trademark rights of BBM Canada as they had alleged," the company said in a statement. It's a rare victory for RIM, which has been struggling of late. Its chief legal officer left earlier this week, and it's predicted to lose thousands more jobs today. At least 2,000 employees are expected to be cut, but the number could be as many as 6,000, if one estimate is correct. 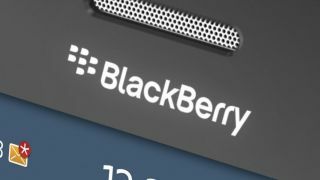 What's more, the company didn't show off any new handsets at this year's BlackBerry World, instead pinning its hopes on its BlackBerry 10 OS. The radio and TV audience measuring company, BBM, was established in 1944 as the Bureau of Broadcast Measurement. It shortened its name to BBM in the 1960s, then BBM Canada in the 1990s.